Multnomah County has set plans to lead a study to evaluate the prospect of building a massive fiber network to provide broadband internet service. It would be, by far, the nation's largest municipal broadband system. East Metro Cities (Fairview, Gresham, Troutdale and Wood Village) have either agreed to or are considering being a part of and partially funding this study. This webinar will discuss the potential impact of municipal broadband in our region and allow you to hear directly from local technology expert and municipal broadband advocate Michael Hanna. Set you calendar to not miss the great presentation from the comforts of your own desk. Michael Hanna is the data architect for the Enterprise Data & Analytics Team (EDAT) within the Information Technology Division at Multnomah County government. 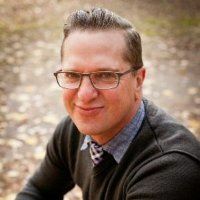 He has been a database administrator and software developer for his entire adult career, and has been working to improve the lives of residents and employees of Multnomah County since 2001. When not being a data geek, he spends his time as a resilient cities, municipal broadband and post-carbon energy advocate—and is passionate about being out in nature as much as possible.